Isaac turned 4 last Sunday. 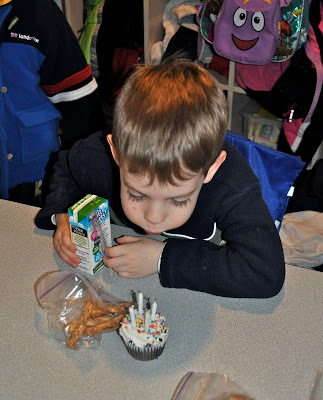 We took cupcakes to his class and then opened a few presents to mark the occasion. Isaac is a wonderful little boy. He is sensitive and funny. He is thoughtful and smart. 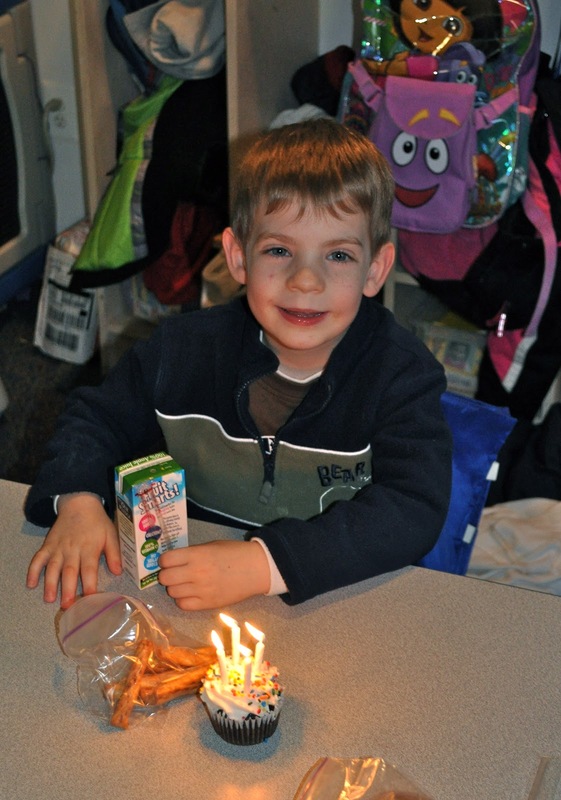 He loves to laugh and do art projects. He has a short attention span for movies and video games, but can play cards and board games endlessly. 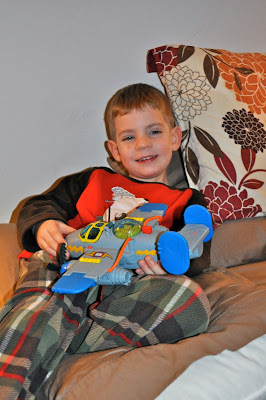 He LOVES stuffed animals and Hot Wheels and his toy airplanes. He loves new clothes, especially pajamas. He is a great big brother and a pretty accommodating little brother, too. Isaac loves to help in the kitchen. He likes to add the ingredients, mix and then sit in front of the oven watching whatever we've made bake. He likes to dance and listen to music and has recently become obsessed with "West Side Story." He walks around the house saying "Bernardo" and singing "America." He loves to read stories and his current favorite book is "The Three Little Wolves and the Big Bad Pig." Isaac really enjoys school, especially his friends in his class. He loves science and art and music. He gets excited by almost anything and is very observant of the world and people around him. He talks all the time and only seems to have one volume -- he cannot whisper to save his life. He loves to run and jump and play and his enthusiasm for life is infectious. His favorite colors are red and orange and his favorite food is still oatmeal (but he will happily eat a donut if necessary). We feel lucky and blessed every day that Isaac is a member of our family and look forward to being a part of his future.